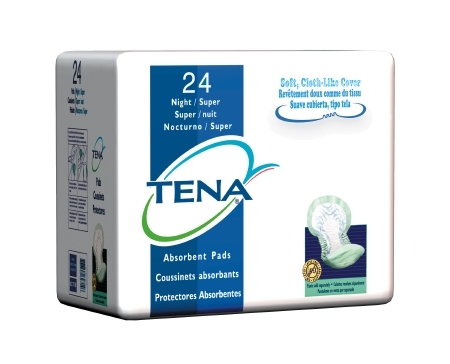 New TENA Day Light pads for light to moderate protection. Features Dry-fast Core. Soft nonwoven backsheet in oval shap with elastics at legs. For mild to moderate bladder protection. Can be worn with regular underwear. Soft elastic gathers provide a closer fit. Full length adhesive strip holds pad securely in place. Latex-free.